Electric vehicle (EV) usage continues to increase in the United States, along with its supporting infrastructure. As EVs increase in market share, issues like charging speed and battery capacity will drive future development of EV charging technology. As EV demand increases, manufacturers will continue to develop, build, and deploy additional Internet-connected charging stations and new connected technologies to satisfy demand. 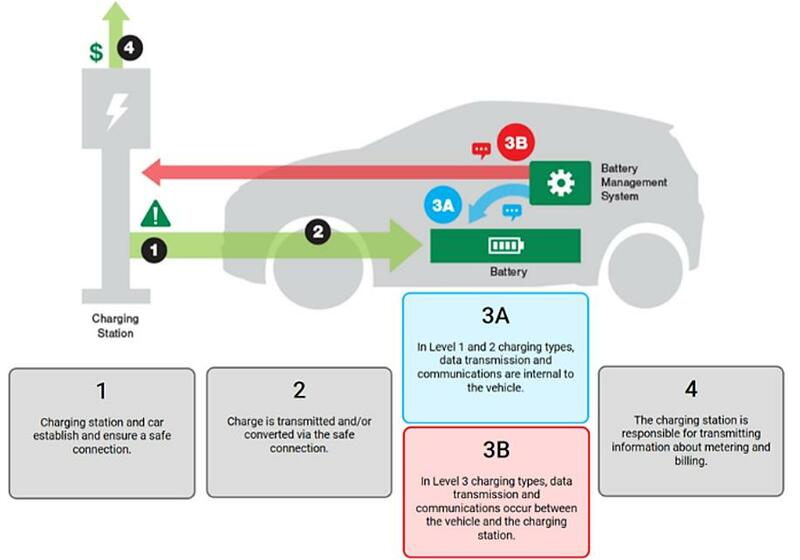 These Internet connected technologies include enhanced EV supply equipment (EVSE)-to-EV digital communications (advanced control of the charging process), as well as increasingly networked automobiles and charging systems (expanded communications and control for EVs). This research provides a baseline understanding of EV charging technology, as well as what new technology is on the horizon. Analysts should consider the cyber and physical aspects of this technology as it becomes more prevalent. 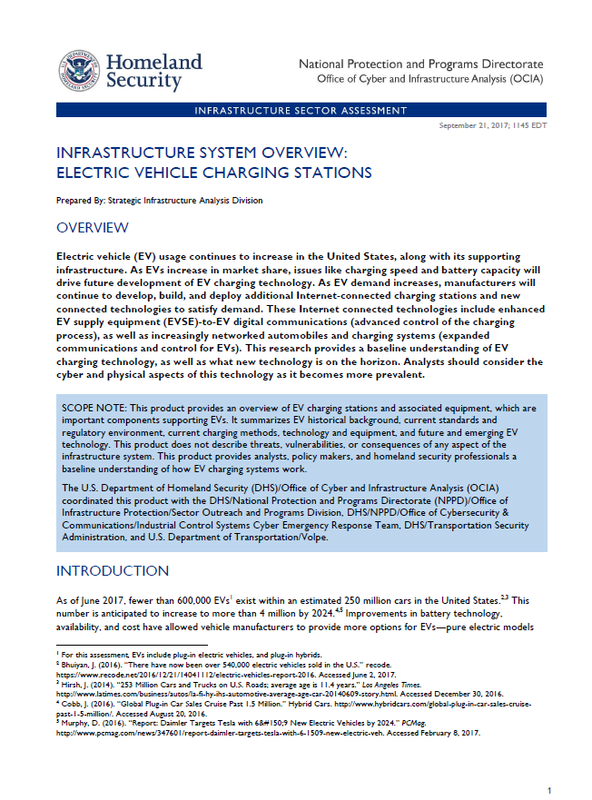 Areas of concern within the EV and EV charging industry include the increased demand for electricity on residential and commercial electrical grids and potential increases in cyber related vulnerabilities to the EV the EVSE or the billing components related to charging. These concerns may increase as EVs become more widely used, but as of 2017, there are limited to no examples of these being widespread or significant problems.